The software-as-a-service application has been playing a very crucial role in every business. SaaS applications are spread over a wide domain offering its services in multiple objectives. Management, Accounting, Developing, Payroll and a lot of other areas make use of the SaaS. The point where it directs in terms of mail handling raises its need and requirement when any organization is considered irrespective of what the base of business is. The centralized domain management eases a lot of loads and makes the process smooth. SaaS playing such a fundamental role, the necessity to have its duplicate becomes a must. A copy of the original data stored on the cloud would be the idea which will work out. Vembu Backup and Disaster Recovery solutions offer SaaSBackup for Office 365 and Google Apps. A simple online based console which helps you add your domain and it allows you to choose either the entire domain or only the specific users to backup. 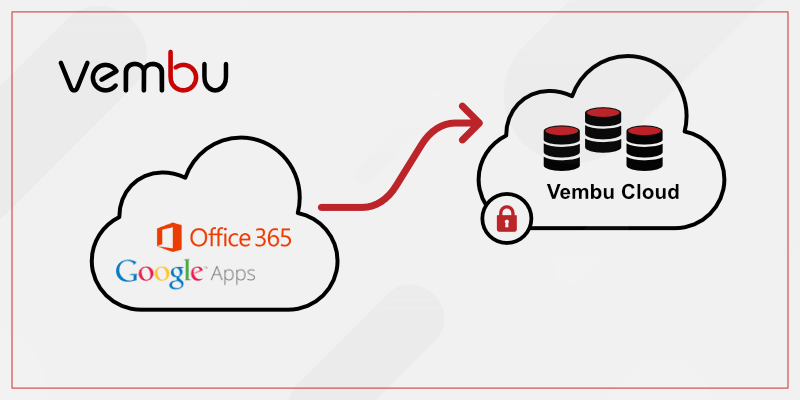 How does Vembu integrate with your Office 365 Environment? After adding the domain and Onedrive, we are ready to backup. Step 2: Schedule the backup job. Specify the time for the backup job to perform on a daily basis and proceed. Step 3: Review the configurations chosen and proceed to run the backup job. Click on the Google Apps tab. Now, you will be able to backup the Google Apps data (mails, calendars, events, contacts, and Drive) by adding domain-level access to Vembu SaaSBackup application. Step 1: click on the Office 365 tab and you will have all the added accounts listed along with various options. Step 2: Click restore option alongside the respective account you want to restore data from. Step 3: Choose the domain or the user you wish to restore and click restore Now option. Step 4: Either select a specific set of mails or calendars, events or contacts or files from OneDrive to restore and proceed with Next. Note: You can also filter mailbox, contacts, and calendar using the search option and select specific mails/contacts/documents/calendar for restore. Step 5: Once done selecting the data for restore, proceed with Next. Step 6: Choose the account you want the data to be restored. Step 7: Click restore to initiate the process. You can also monitor the restore progress and ensure it gets successful and the same procedure can be performed for the Google Apps also. Here is a Video which will guide you through the procedure and help you know how Vembu SaaSBackup console works for the Google Apps. Vembu SaaSBackup will work with your Office 365 and Google apps without interrupting its normal processing. The data will be stored on Vembu cloud and can be restored anytime at times of disaster or data loss. The configuration steps are simple and pretty straightforward and so does the entire processing. Sign Up for the Vembu SaaS Backup now. I work for the Product Management Team. Research, Analysis, and Writing are what I do on a normal day and on a busy day, I tend to do that, a lot more.